ACM Copyright by the Association for Computing Machinery, Inc. Permission to make digital or hard copies of part or all of this work for personal or classroom use is granted without fee provided that copies are not made or distributed for profit or commercial advantage and that copies bear this notice and the full citation on the first page. Copyrights for components of this work owned by others than ACM must be honored. Abstracting with credit is permitted. To copy otherwise, to republish, to post on servers, or to redistribute to lists, requires prior specific permission and/or a fee. Request permissions from Publications Dept, ACM Inc., fax +1 (212) 869-0481, or permissions@acm.org. IEEE This material is presented to ensure timely dissemination of scholarly and technical work. Copyright and all rights therein are retained by authors or by other copyright holders. All persons copying this information are expected to adhere to the terms and constraints invoked by each author's copyright. In most cases, these works may not be reposted without the explicit permission of the copyright holder. The following copyright notice applies to all papers published in the Lecture Notes in Computer Science by Springer-Verlag, as mentioned in the Copyright Form. The Author may publish his/her contribution on his/her personal Web page provided that he/she creates a link to the above mentioned volume of LNCS at the Springer-Verlag server or to the LNCS series homepage, and that together with this electronic version it is clearly pointed out, by prominently adding "Copyright Springer-Verlag", that the copyright for this contribution is held by Springer. Note: Prefaces to special issues that are longer than a page are included in the following, as well as SoSyM Editorials. Geri Goerge, Jeff Gray, Bernhard Rumpe, and Martin Schindler, Journal of Software and Systems Modeling, vol. 17, no. 1, January 2018, pp. 1-4. Brian Eddy, Nicholas Kraft, and Jeff Gray, Journal of Software: Evolution and Process, vol. 30, no. 1, January 2018, pp. 1-25. Jeff Gray and Bernhard Rumpe, Journal of Software and Systems Modeling, vol. 16, no. 4, October 2017, pp. 927-928. Jeff Gray and Bernhard Rumpe, Journal of Software and Systems Modeling, vol. 16, no. 3, July 2017, pp. 625-626. David Bau, Jeff Gray, Caitlin Kelleher, Josh Sheldon, Franklyn Turbak, Communications of the ACM, vol. 60, no. 6, June 2017, pp. 72-80. Jeff Gray and Bernhard Rumpe, Journal of Software and Systems Modeling, vol. 16, no. 2, April 2017, pp. 307-308. Elizabeth Williams, Jeff Gray and Brandoin Dixon, Pervasive and Mobile Computing (Special Issue on Pervasive Social Computing; Patrizia Grifoni, Fernando Ferri, Alessia D'Andrea, Tiziana Guzzo, Andrea Passarella, Guest Editors), volume 36, April 2017, pp. 68-79. Geri Goerge, Jeff Gray, Bernhard Rumpe, and Martin Schindler, Journal of Software and Systems Modeling, vol. 16, no. 1, January 2017, pp. 1-4. Jonathan Corley, Brian P. Eddy, Eugene Syriani, and Jeff Gray, Software Quality Journal (Special Issue on Program Debugging: Research, Practice and Challenges (Sudipto Ghosh and Jenny Li, Guest Editors), vol. 25, no. 1, January 2017, pp. 7-48. Huseyin Ergin, Eugene Syriani, and Jeff Gray, Computer Languages, Systems, and Structures, Volume 46, November 2016, pp. 106-139. Jeff Gray and Bernhard Rumpe, Journal of Software and Systems Modeling, vol. 15, no. 4, October 2016, pp. 929-931. Jeff Gray and Bernhard Rumpe, Journal of Software and Systems Modeling, vol. 15, no. 3, July 2016, pp. 605-608. Jeff Gray and Bernhard Rumpe, Journal of Software and Systems Modeling, vol. 15, no. 2, April 2016, pp. 303-305. Geri Georg, Jeff Gray, Bernhard Rumpe, Martin Schindler, Journal of Software and Systems Modeling, vol. 15, no. 1, January 2016, pp. 1-4. Jeff Gray and Bernhard Rumpe, Journal of Software and Systems Modeling, vol. 14., no. 4, October 2015, pp. 1319-1320. Yu Sun, Jeff Gray, and Jules White, Journal of Software and Systems Modeling, vol. 14., no. 3, July 2015, pp. 1245-1271. Jeff Gray and Bernhard Rumpe, Journal of Software and Systems Modeling, vol. 14., no. 3, July 2015, pp. 1049-1050. Amber Wagner and Jeff Gray, International Journal of Information Technologies and Systems Approach (Special Issue on Human-Computer Interaction, Carina Gonzalez, editor), vol. 8, no. 2, May 2015, pp. 47-63. Songqing Yue and Jeff Gray, Advances in Software Engineering, Volume 2014, pp. 1-23. Benoit Combemale, Julien DeAntoni, Benoit Baudry, Robert B. France, Jeff Gray, and Jean-Marc Jézéquel, IEEE Computer, June 2014, pp. 68-71. James Edmondson, William Anderson, Jeff Gray, Joe Loyall, Jules White, and Klaus Schmid, editors, IEEE Software, vol. 31, no. 2, March/April 2014, pp. 44-47. Ferosh Jacob, Adam Wynne, Yan Liu,and Jeff Gray, IEEE Computing in Science and Engineering, January/February 2014, vol. 16, no. 1, pp. 52-64. Tomaz Kosar, Tomaz Kos, Jeff Gray, and Marjan Mernik, Computers in Industry, vol. 65, no. 4, May 2014, pp. 622-635. Jeff Gray, Juha-Pekka Tolvanen, and Matti Rossi, edtiors, Journal of Software and Systems Modeling, vol. 13, no. 1, January 2014, pp. 5-7. Hyun Cho, Jeff Gray, and Yuanfang Cai, Scientific Research and Essays (Special Issue on Software Quality), accepted for publication. Yu Sun, Jeff Gray, Romain Delamare, Benoit Baudry, Jules White, Journal of Software: Evolution and Process, vol. 25, no. 12, December 2013, pp. 1335-1356. Tomaz Lukman, Giovanni Godena, Jeff Gray, Marjan Hericko, and Stanko Strmcnik, Control Engineering Practice, vol. 21, no. 8, August 2013, pp. 1078-1096. Ferosh Jacob, Jeff Gray, Jeffrey C. Carver, Marjan Mernik, and Purushotham Bangalore, Journal of Supercomputing, vol. 62, no. 3, December 2012, pp. 1560-1582. 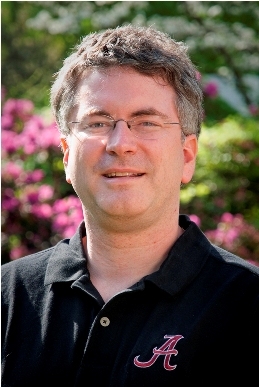 Robert Tairas and Jeff Gray, Journal of Information and Software Technology, December 2012, vol. 54, pp. 1297-1307. Philip Langer, Manuel Wimmer, Jeff Gray, Gerti Kappel and Antonio Vallecillo, Journal of Object Technology (Special Issue on Model Comparison -Davide Di Ruscio and Dimitris Kolovos, eds. ), vol. 11, no. 4, October 2012, pp. 1-34. Richard Paige and Jeff Gray, editors, Journal of Software and Systems Modeling, vol. 12, no. 1, January 2013, pp. 85-87. Ferosh Jacob, Jeff Gray, Songqing Yue, and Nicholas Kraft, Journal of Convergence Information Technology, vol. 7, no. 12, 2012, pp. 256-263. Qichao Liu, Jeff Gray, Marjan Mernik, and Barrett R. Bryant, International Journal of Software and Informatics (Special Issue on Software Modeling and Metamodeling - Hong Zhu, ed. ), vol. 6, no. 2, 2012, pp. 201-231. Shih-Hsi Liu, Adam Cardenas, Marjan Mernik, Barrett R. Bryant, Jeff Gray, and Xang Xiong, Multiagent and Grid Systems, vol. 8, no. 1, 2012, pp. 19-44. Ferosh Jacob, Amber Wagner, Prateek Bahri, Susan Vrbsky, and Jeff Gray, International Journal of Next-Generation Computing (Special Issue on Cloud Computing – Yugyung Lee and Praveen Rao, eds. ), vol. 2, no. 2, 2011, pp. 123-142. Barrett R. Bryant, Jeff Gray, Marjan Mernik, Peter J. Clarke, Robert B. France, Gabor Karsai, Journal of Computer Science and Information Systems (Special Issue on Advances in Formal Languages, Modeling and Applications), vol. 8, no. 2, 2011. Suman Roychoudhury, Jeff Gray, and Frédéric Jouault, Transactions on Aspect-Oriented Software Development, Springer Verlag LNCS 6580, vol. VIII, 2011, pp. 1-45. Zekai Demirezen, Yu Sun, Jeff Gray, and Frédéric Jouault, Journal of Computational Methods in Science and Engineering (JCMSE), vol. 10, no. 2, September 2010, pp. 187-202. Xiaoqing Wu, Barrett Bryant, Jeff Gray, and Marjan Mernik, Computer Languages, Systems, and Structures, vol. 36, no. 1, April 2010, pp. 16-33. Suman Roychoudhury, Jeff Gray, Jing Zhang, Purushotham Bangalore, and Anthony Skjellum, Journal of Object Technology, vol. 9, no. 1, January/February 2010, pp. 143-160. Jeff Gray, Alfonso Pierantonio, and Antonio Vallecillo, editors, Journal of Software and Systems Modeling, vol. 9, no. 3, June 2010, pp. 281-283. Jules White, Jeff Gray, and Doug Schmidt, Transactions on Aspect-Oriented Software Development, Special Issue on Aspects and MDE (Robert France and Jean-Marc Jezequel, eds. ), Springer-Verlag LNCS 5560, vol. VI, 2009, pp. 153-190. Suman Roychoudhury, Jeff Gray, Jing Zhang, Purushotham Bangalore, and Anthony Skjellum, Acta Electrotechnica et Informatica, vol. 9, no. 3, 2009, pp. 16-23. Jules White, James Hill, Sumant Tambe, Aniruddha Gokhale, Doug Schmidt, and Jeff Gray, IEEE Software, Special Issue on Domain-Specific Languages and Modeling (Jonathan Sprinkle, Marjan Mernik, Juha-Pekka Tolvanen, and Diomidis Spinellis, eds. ), vol. 26, no. 4, July/August 2009, pp. 47-53. Jean Bezivin, Alfonso Pierantonio, Antonio Vallecillo, and Jeff Gray, Journal of Software and Systems Modeling, Volume 8, Number 3, July 2009, pp. 303-304. Damijan Rebernak, Marjan Mernik, Hui Wu, and Jeff Gray, IET Software (Special Issue on Domain-Specific Aspect Languages), vol. 3, no. 3, June 2009, pp. 184-200. Robert Tairas and Jeff Gray, Empirical Software Engineering, Special Issue on Information Retrieval for Program Comprehension (Tim Menzies and Letha Etzkorn, eds. ), vol. 14, no. 1, February 2009, pp. 33-56. Yuehua Lin, Jeff Gray, Jing Zhang, Steve Nordstrom, Aniruddha Gokhale, Sandeep Neema, and Swapna Gokhale, Software: Practice and Experience, vol. 38, no. 14, November 2008, pp. 1475-1497. Hui Wu, Jeff Gray, and Marjan Mernik, Software: Practice and Experience, vol. 38, no. 10, August 2008, pp. 1073-1103. Faizan Javed, Marjan Mernik, Jing Zhang, Jeff Gray, and Barrett Bryant, Journal of Information and Software Technology, vol. 50, nos. 9-10, July 2008, pp. 948-968. Faizan Javed, Marjan Mernik, Jeff Gray, Jing Zhang, Barrett Bryant, and Suman Roychoudhury, Acta Electrotechnica et Informatica, vol. 8, no. 1, January-March 2008, pp. 3-10. Jing Zhang, Jeff Gray, Yuehua Lin, and Robert Tairas, International Journal of Computer Applications in Technology, Special Issue on Concern-Oriented Software (Hongji Yang, William Chu, and Jianjun Zhao, eds. ), vol. 31, nos. 1/2, 2008, pp. 74-82. Paper: [PDF] Copyright held by Australian Computer Society. Alfonso Pierantonio, Antonio Vallecillo, Bran Selic, and Jeff Gray, Science of Computer Programming, vol. 68, no. 3, October 2007, pg. 111-113. Yuehua Lin, Jeff Gray, and Frédéric Jouault, European Journal of Information Systems, Special Issue on Model-Driven Systems Development (Mark Lycett, Esperanza Marcos, and Veda Storey, eds. ), vol. 16, no. 4, August 2007, pp. 349-361. Dimple Kaul, Arundhati Kogekar, Aniruddha Gokhale, Jeff Gray, and Swapna Gokhale, Journal of Visual Languages and Computing, Special Issue on Visual Interactions in Software Artifacts (Guido Wirtz and Kang Zhang, eds. ), vol. 18, no. 4, August 2007, pp. 359-377. Upsorn Praphamontripong, Swapna Gokhale, Aniruddha Gokhale, and Jeff Gray, Simulation: Transactions of the Society for Modeling and Simulation, vol. 83, no. 8, August 2007, pp. 571-586. Jing Zhang, Thomas Cottenier, Aswin van den Berg and Jeff Gray, Journal of Object Technology, Special Issue on Aspect-Oriented Modeling, vol. 6, no. 7, August 2007, pp. 89-108. Rajesh Sudarsan and Jeff Gray, Journal of Research and Practice in Information Technology, Special Issue on Software Engineering (Hassan Rezza and Emanuel Grant, eds. ), vol. 38, no. 4, November 2006, pp. 337-351. Zhijie Guan, Francisco Hernandez, Purushotham Bangalore, Jeff Gray, Anthony Skjellum, Vijay Velusamy, and Yin Liu, Concurrency and Computation: Practice and Experience, Special Issue on Grid Workflow (Geoffrey Fox and Dennis Gannon, eds. ), vol. 18, no. 10, August 2006, pp. 1115-1140. Francisco Hernandez, Purushotham Bangalore, Jeff Gray, Zhijie Guan, and Kevin Reilly, Concurrency and Computation: Practice and Experience, Special Issue on Grid Workflow (Geoffrey Fox and Dennis Gannon, eds. ), vol. 18, no. 10, August 2006, pp. 1293-1316. Krishnakumar Balasubramanian, Aniruddha Gokhale, Yuehua Lin, Jing Zhang, and Jeff Gray, International Journal on Software Engineering and Knowledge Engineering, Special Issue on Aspect-Oriented Modeling (Eric Wong and Kendra Cooper, eds. ), June 2006, vol. 16., no. 3, pp. 403-424. Jeff Gray, Yuehua Lin, and Jing Zhang, IEEE Computer, Special Issue on Model-Driven Engineering (Doug Schmidt, ed. ), vol. 39, no. 2, February 2006, pp. 51-58. Xiaoqing Wu, Barrett Bryant, Jeff Gray, and Marjan Mernik, Journal of Computing Sciences in Colleges, vol. 21, no. 2, December 2005, pp. 335-340. Pedro Rangel Henriques, Maria Joao Varanda Pereira, Marjan Mernik, Mitja Lenic, Jeff Gray, and Hui Wu, IEE Proceedings - Software, April 2005, pp. 54-69. Jeff Gray, Science of Computer Programming, special issue on Practice and Experience with Java in Education (Q.H. Mahmoud, ed. ), vol. 53, no. 1, October 2004, pp. 51-69. Gabor Karsai, Miklos Maroti, Akos Ledeczi, Jeff Gray, and Janos Sztipanovits, IEEE Transactions on Control System Technology, Special issue on Computer Automated Multi-Paradigm Modeling (Pieter Mosterman and Sebastian Engell, eds. ), March 2004, pp. 263-278. Jeff Gray, Ted Bapty, Sandeep Neema, and James Tuck, Communications of the ACM, October 2001, pp. 87-93. Cassidy Lamm, Lauren Lambert, Joshua Wolfe, Jeff Gray, Angela Barber, and Gary Edwards, Innovative Technologies to Benefit Children on the Autism Spectrum (Nava Silton, editor), Idea Group, ISBN: 978-1-466657922, 2014, Chapter 8, pp. 125-142..
Eugene Syriani, Jeff Gray, and and Hans Vangheluwe, Domain Engineering: Product Lines, Conceptual Models, and Languages, (Iris Reinhartz-Berger, Arnon Sturm, Tony Clark, Jorn Bettin, and Sholom Cohen, eds. ), Springer, ISBN: 978-3642366536, 2013. Yu Sun, Jeff Gray, Philip Langer, Gerti Kappel, Manuel Wimmer, Jules White, Emerging Technologies for the Evolution and Maintenance of Software Models, (Joerg Rech and Christian Bunse, eds. ), Idea Group, ISBN: 978-1-61350-438-32012, 2012, Chapter 4, pp. 92-120. Yu Sun, Jules White, Jeff Gray, and Aniruddha Gokhale, Model-Driven Domain Analysis and Software Development: Architecture and Functions, (Janis Osis and Erika Asnina, eds. ), Idea Group, ISBN: 978-161692-874-2, 2011, Chapter 7, pp. 136-155. Hyun Cho, Jeff Gray, Yuanfang Cai, Sunny Wong, and Tao Xie, Model-Driven Domain Analysis and Software Development: Architecture and Functions, (Janis Osis and Erika Asnina, eds. ), Idea Group, ISBN: 978-161692-874-2, 2011, Chapter 13, pp. 275-303. Shih-Hsi Liu, Yu Cao, Ming Li, Thell Smith, John Harris, Jie Bao, Barrett R. Bryant, and Jeff Gray, Service Composition, Business Process Engineering and Domain-Specific Challenges in Service-Oriented Architecture: Engineering Non-Functional Requirements, (Nikola Milanovic, ed. ), Idea Group, ISBN: 978-1-60566-794-2, Chapter 15, 2011, pp. 335-359. Jeff Gray, Sandeep Neema, Jing Zhang, Yuehua Lin, Ted Bapty, Aniruddha Gokhale, and Douglas C. Schmidt, Behavioral Modeling for Embedded Systems and Technologies: Applications for Design and Implementation, (Luis Gomes and Joao Fernandes, eds. ), Idea Group, 2009, Chapter 4, pp. 85-113. Fei Cao, Jeff Gray, and Barrett Bryant, Encyclopedia of Computer Science and Engineering, (Benjamin Wah, ed. ), John Wiley & Sons, ISBN: 978-0471383932, 2009. Gan Deng, Douglas C. Schmidt, Aniruddha Gokhale, Jeff Gray, Yuehua Lin, and Gunther Lenz, Designing Software-Intensive Systems: Methods and Principles, (Pierre Tiako, ed. ), Idea Group, ISBN: 978-1599046990, 2008, Chapter 5, pp. 102-132. This chapter also appeared in the book Software Applications: Concepts, Methodologies, Tools, and Applications, (Pierre Tiako, ed. ), Idea Group, ISBN: 978-1-60566-060-8, 2009. Enis Afgan, Purushotham Bangalore, and Jeff Gray, Designing Software-Intensive Systems: Methods and Principles, (Pierre Tiako, ed. ), Idea Group, ISBN: 978-1599046990, 2008, Chapter 13, pp. 402-438. Xiaoqing Wu, Marjan Mernik, Barrett R. Bryant and Jeff Gray, Encyclopedia of Information Science and Technology, (Mehdi Khosrow-Pour, ed. ), 2nd ed., Idea Group, ISBN: 978-1-60566-026-4, 2009, pp. 1863-1869. Jeff Gray, Juha-Pekka Tolvanen, Steven Kelly, Aniruddha Gokhale, Sandeep Neema, and Jonathan Sprinkle, Handbook of Dynamic System Modeling, (Paul Fishwick, ed. ), CRC Press, ISBN: 1584885653, 2007, Chapter 7, pp. 7-1 through 7-20. Jing Zhang, Yuehua Lin, and Jeff Gray, Model-driven Software Development, (Sami Beydeda, Matthias Book, and Volker Gruhn, eds. ), Springer, ISBN: 3-540-25613-X, 2005, Chapter 9, pp. 199-218. Yuehua Lin, Jing Zhang, and Jeff Gray, Model-driven Software Development, (Sami Beydeda, Matthias Book, and Volker Gruhn, eds. ), Springer, ISBN: 3-540-25613-X, 2005, Chapter 10, pp. 219-236. Jeff Gray, Janos Sztipanovits, Douglas Schmidt, Ted Bapty, Sandeep Neema, and Aniruddha Gokhale, Aspect-Oriented Software Development, (Robert Filman, Tzilla Elrad, Mehmet Aksit, and Siobhan Clarke, eds. ), Addison-Wesley, ISBN: 0321219767, 2004, Chapter 30, pp. 681-710. Aniruddha Gokhale, Douglas Schmidt, Balachandran Natarajan, Jeff Gray, and Nanbor Wang, Middleware for Communications, (Qusay Mahmoud, ed. ), John Wiley and Sons, ISBN: 0470862068, 2004, Chapter 7, pp. 163-187. Note: Workshop or tool demonstrations that appear in a Springer LNCS proceedings are included in the following. Michele Roberts, Jeff Gray, and Kiki Prottsman, ACM Technical Symposium on Computer Science Education (SIGCSE), Baltimore, MD, February 2018, pp.723-728. Eric Tilley and Jeff Gray, ACM Southeast, Atlanta, GA, April 2017. Jeff Gray, Michele Roberts, and Jonathan Corley, ACM Technical Symposium on Computer Science Education (SIGCSE), Seattle, WA, March 2017, pp. 249-254. Elizabeth Williams, Jeff Gray, Edwin Morris, Ben Bradshaw, Keegan Williams, and Brandon Dixon, IEEE Annual Ubiquitous Computing, Electronics & Mobile Communication Conference (UEMCON), New York, NY, October 2016. Elizabeth Williams, Jeff Gray, and Brandon Dixon, IEEE Annual Ubiquitous Computing, Electronics & Mobile Communication Conference (UEMCON), New York, NY, October 2016. Jeff Gray, Jonathan Corley, and Brian Eddy, ACM Technical Symposium on Computer Science Education (SIGCSE), Memphis, TN, March 2016, pp. 455-460. Erwan Bousse, Jonathan Corley, Benoit Combemale, Jeff Gray, and Benoit Baudry, Software Language Engineering (SLE), Pittsburgh, PA, October 2015, pp. 137-148. Songqing Yue, and Jeff Gray, International Conference on Software Engineering and Data Engineering (SEDE), San Diego, CA, October 2015, pp. 195-200. Songqing Yue, and Jeff Gray, International Conference on Software Engineering and Data Engineering (SEDE), San Diego, CA, October 2015, pp. 201-206. Yao Pan, Jules White, Yu Sun, and Jeff Gray, International Conference on Software Engineering (ICSE), Florence, Italy, May 2015, pp. 167-177. Jeff Gray, Kathy Haynie, Sheryl Packman, Mary Boehm, Carol Crawford, and Deepa Muralidhar, ACM Technical Symposium on Computer Science Education (SIGCSE), Kansas City, MO, March 2015. Mokter Hossain and Jeff Gray, Society for Information Technology and Teacher Education (SITE), Las Vegas, NV, March 2015, pp. 301-307. Loli Burgueno, Eugene Syriani, Manuel Wimmer, Jeff Gray, and Antonio Vallecillo, Conference on Software Engineering and Databases, Cadiz, Spain, September 2014. Yu Sun and Jeff Gray, European Conference on Modeling Foundations and Applications (ECMFA), Springer-Verlag LNCS 7949, Montpellier, France, July 2013, pp. 86-100. Chris Hodapp, Matt Robbins, Jeff Gray, and Andrew Graettinger, ACM Southeast, Savannah, GA, April 2013. Tarif Haque, Emily Liang, and Jeff Gray, ACM Southeast, Savannah, GA, April 2013. Amber Wagner, Jeff Gray, Jonathan Corley, and David Wolber, ACM SIGCSE, Denver, CO, March 2013, pp. 621-626. Andrea Arpaci-Dusseau, Owen Astrachan, Dwight Barnett, Matthew Bauer, Marilyn Carrell, Rebecca Dovi, Baker Franke, Christina Gardner, Jeff Gray, Jean Griffin, Richard Kick, Andy Kuemmel, Ralph Morelli, Deepa Muralidhar, R. Brook Osborne, Chinma Uche, ACM SIGCSE, Denver, CO, March 2013, pp. 251-256. Hyun Cho, Jeff Gray, and Eugene Syriani, Asia-Pacific Software Engineering Conference (APSEC), Hong Kong, China, December 2012, pp. 705-708. Yu Sun, Jeff Gray, Karlheinz Bulheller, Nicolaus von Baillou, Model Driven Engineering Languages and Systems (MoDELS), Springer-Verlag LNCS 7590, Innsbruck, Austria, October 2012, pp. 368-382. Jonathan Corley, Dustin Heaton, Jeff Gray, Jeff Carver, and Randy Smith, International Conference on Human-Computer Interaction, Baltimore, MD, May 2012, pp. 199-204. Amber Wagner, Ramaraju Rudraraju, Srinivasa Datla, Avishek Banerjee, Mandar Sudame, and Jeff Gray, ACM SIGCHI Conference on Human Factors in Computing Systems, Austin, TX, May 2012, pp. 2087-2092. Yu Sun, Jeff Gray, and Jules White, International Conference on Model Transformation (ICMT), Springer-Verlag LNCS 6707, Zurich, Switzerland, June 2011, pp. 213-227. Amogh Kavimandan, Aniruddha Gokhale, Gabor Karsai, and Jeff Gray, 7th ACM SIGSOFT International Conference on the Quality of Software Architectures (QoSA), Boulder, CO, June 2011, pp. 13-22. Ferosh Jacob, Jeff Gray, Purushotham Bangalore and Yu Sun, 49th Annual ACM Southeast Conference, Kennesaw, GA, March 2011, pp. 138-143. Ferosh Jacob, David Whittaker, Sagar Thapaliya, Purushotham Bangalore, Marjan Mernik and Jeff Gray, 17th Annual International Conference on High Performance Computing, Goa, India, December 2010. Tomaz Lukman, Giovanni Godena, Jeff Gray, Stanko Strmcnik, IEEE International Conference on Emerging Technologies and Factory Automation, Bilbao, Spain, September 2010. Ramaraju Rudraraju, Srinivasa Datla, Avishek Banerjee, Mandar Sudame, Jeff Gray, Dixon Shuttleworth, and Gary Edwards, Scratch@MIT Conference, Cambridge, MA, August 2010. Robert Tairas and Jeff Gray, International Conference on Software Engineeering Research and Practice, Las Vegas, NV, July 2010, pp. 284-290. Ferosh Jacob,Ritu Arora, Purushotham Bangalore, Marjan Mernik, and Jeff Gray, International Conference on Parallel and Distributed Processing Techniques and Applications (PDPTA), Las Vegas, NV, July 2010, pp. 339-345. Shih-Hsi Liu, Adam Cardenas, Xang Xiong, Marjan Mernik, Barrett R. Bryant, Jeff Gray, 6th IEEE World Congress on Services, July 2010, Miami, FL, pp. 535-542. Hyun Cho, Eunyoung Kim, and Jeff Gray, International Conference on Software and Data Engineering (SEDE), San Francisco, CA, June 2010, pp. 39-44. Tomaz Lukman, Marjan Mernik, Zekai Demirezen, Barrett Bryant and Jeff Gray, 48th Annual ACM Southeast Conference, Oxford, MS, April 2010. Hyun Cho and Jeff Gray, 48th Annual ACM Southeast Conference, Oxford, MS, April 2010. Joerg Kienzle, Jeff Gray, Dominik Stein, Thomas Cottenier, Walter Cazzola, and Omar Aldawud, MODELS 2008 Satellite Events Proceedings, Springer-Verlag LNCS 6002, Denver, CO, 2009, pp. 98-103. Yu Sun, Jules White, and Jeff Gray, Model Driven Engineering Languages and Systems (MoDELS), Spring-Verlag LNCS 5795, Denver, CO, October 2009, pp. 712-726. Hui Wu, Jeff Gray, and Marjan Mernik, IFIP Conference on Domain-Specific Languages, Springer Verlag LNCS 5658, Oxford, UK, July 2009, pp. 125-147.
International Conference on Software and Data Engineering (SEDE), Las Vegas, NV, June 2009, pp. 119-125. Yu Sun, Zekai Demirezen, Frédéric Jouault, Robert Tairas, and Jeff Gray, First International Conference on Software Language Engineering (SLE), Tool Demonstration, Springer-Verlag LNCS 5452, Toulouse, France, September 2008, pp. 178-187. Robert Tairas, Marjan Mernik, and Jeff Gray, Workshop on Transforming and Weaving Ontologies and Model Driven Engineering (TWOMDE), Springer-Verlag LNCS 5421 (Workshops and Symposia at MODELS 2008), Toulouse, France, September 2008, pp. 332-342. Dirk Deridder, Jeff Gray, Alfonso Pierantonio, and Pierre-Yves Schobbens, Workshop on Model Co-Evolution and Consistency Management (MCCM), Springer-Verlag LNCS 5421 (Workshops and Symposia at MODELS 2008), Toulouse, France, September 2008, pp. 120-123. Ritu Arora, Yu Sun, Zekai Demirezen, and Jeff Gray, ACM Southeast Conference, Auburn, AL, March 2008. Joerg Kienzle, Jeff Gray, Dominik Stein, Walter Cazzola, Omar Aldawud, and Tzilla Elrad, MODELS 2006 Satellite Events Proceedings, Springer-Verlag LNCS 5002, Nashville, TN, 2008, pp. 1-6. Jeff Gray, Model Driven Engineering Languages and Systems (MODELS), Springer-Verlag LNCS 4735, Nashville, TN, October 2007, pp. 690-693. Mikael Barbero, Frederic Jouault, Jeff Gray, and Jean Bezivin, European Conference on Model-Driven Architecture (ECMDA), Springer-Verlag LNCS 4530, Haifa, Israel, June 2007, pp. 32-42. Jean Bezivin, Mikaël Barbero, Hugo Bruneliere, Jeff Gray, and Frédéric Jouault, EclipseCon, Santa Clara, CA, March 2007. Swapna Gokhale, Upsorn Praphamontripong, Aniruddha Gokhale, and Jeff Gray, 40th Hawaiian International Conference on System Sciences (HICSS), Big Island, HI, January 2007. Dimple Kaul, Arundhati Kogekar, Aniruddha Gokhale, Jeff Gray, and Swapna Gokhale, 40th Hawaiian International Conference on System Sciences (HICSS), Big Island, HI, January 2007. Joerg Kienzle, Dominik Stein, Walter Cazzola, Jeff Gray, Omar Aldawud, and Tzilla Elrad, MODELS 2006 Satellite Events Proceedings, Springer-Verlag LNCS 4364, Genova, Italy, 2007, pp. 1-5. Swapna Gokhale, Upsorn Praphamontripong, Aniruddha Gokhale, and Jeff Gray, 30th Annual International Computer Software and Applications Conference (COMPSAC), Chicago, IL, September 2006. Xiaoqing Wu, Barrett Bryant, Jeff Gray, Suman Roychoudhury, and Marjan Mernik, ACM Symposium for Applied Computing (SAC) - Programming for Separation of Concerns Track, Dijon, Bourgogne, France, April 2006, pp. 1585-1590. Robert Tairas and Jeff Gray, 44th ACM Southeast Conference, Melbourne, FL, March 2006, pp. 679-684. Swapna Gokhale, Aniruddha Gokhale, and Jeff Gray, IEEE GlobeCom, St. Louis, MO, December 2005. Joerg Kienzle, Jeff Gray, and Dominik Stein, MODELS 2005 Satellite Events Proceedings, Springer-Verlag LNCS 3844, Montego Bay, Jamaica, October 2005, pp. 91-99. Jeff Gray, MODELS 2005 Satellite Events Proceedings, Springer-Verlag LNCS 3844, Montego Bay, Jamaica, October 2005, pp. 333-336. Jeff Gray, Yuehua Lin, Jing Zhang, Steve Nordstrom, Aniruddha Gokhale, Sandeep Neema, and Swapna Gokhale, Model Driven Engineering Languages and Systems (MODELS) (formerly the UML series of conferences), Springer-Verlag LNCS 3713, Montego Bay, Jamaica, October 2005, pp. 295-308. This paper was "selected as one of the best papers of the MODELS 2005 conference." Wenzhong Gao, Sandeep Neema, Jeff Gray, Joseph Picone, Sachin Porandla, Shravana Musunuri, and J. Mathews, IEEE Vehicle Power and Propulsion Conference (VPPC), Chicago, IL, September 2005, pp. 6-12. Shih-Hsi Liu, Fei Cao, Barrett R. Bryant, Jeff Gray, Rajeev R. Raje, Andrew M. Olson, and Mikhail Auguston, Seventeenth International Conference on Software Engineering and Knowledge Engineering (ISEKE), Taipei, Taiwan, July 2005, pp. 731-734. Shih-Hsi Liu, Barrett Bryant, Jeff Gray, Rajeev Raje, Andrew Olson, and Mikhail Auguston, Engineering of Computer Based Systems (ECBS), Greenbelt, MD, April 2005, pp. 202-209. Hui Wu, Jeff Gray, Suman Roychoudhury, and Marjan Mernik, ACM Symposium for Applied Computing (SAC) - Programming for Separation of Concerns Track, Santa Fe, NM, March 2005, pp. 1370-1374. Xiaoqing Wu, Suman Roychoudhury, Barrett Bryant, Jeff Gray, and Marjan Mernik, ACM Symposium for Applied Computing (SAC) - Programming for Separation of Concerns Track, Santa Fe, NM, March 2005, pp. 1365-1369. Victoria Davis, Jeff Gray, and Joel Jones, 43rd Annual ACM Southeast Conference, Kennesaw, GA, March 2005, pp. 237-241 (volume 2). Danyu Liu, Alan Sprague, and Jeff Gray, International Conference on Machine Learning and Applications (ICMLA), Louisville, KY, December 2004, pp. 280-287. Jeff Gray, Jing Zhang, Yuehua Lin, Hui Wu, Suman Roychoudhury, Rajesh Sudarsan, Aniruddha Gokhale, Sandeep Neema, Feng Shi, and Ted Bapty, Generative Programming and Component Engineering (GPCE), Springer-Verlag LNCS 3286, Vancouver, BC, October 2004, pp. 361-378. Omar Aldawud, Grady Booch, Jeff Gray, Joerg Kienzle, Dominik Stein, Mohamed Kande, Faisal Akkawi, Tzilla Elrad, in: Jardim Nunes, N., Selic, B., Silva, A. Toval, A., UML 2004 - Satellite Activities, Lisbon, Portugal, October 11-15, 2004, Springer-Verlag LNCS 3297, pp. 13-22. Song Zhou, Chuanxi Xu, Hui Wu, Yuehua Lin, Jing Zhang, Juanqin Wang, Jeff Gray, and Barrett Bryant, 42nd Annual ACM Southeast Conference, Huntsville, Alabama, April 2-3, 2004, pp. 160-165. Rachael Dennison, Bina Shah, and Jeff Gray, 42nd Annual ACM Southeast Conference, Huntsville, Alabama, April 2-3, 2004, pp. 332-335. Jeff Gray and Suman Roychoudhury, International Conference on Aspect-Oriented Software Development (AOSD), Lancaster, UK, March 22-26, 2004, pp. 36-45. Fei Cao, Barrett Bryant, Jeff Gray, Carol Burt, Rajeev Raje, Andrew Olson, Mikhail Auguston, 7th World Conference on Integrated Design and Process Technology (IDPT), Austin, TX, December 3-6, 2003. Jeff Gray, Ted Bapty, Sandeep Neema, Douglas C. Schmidt, Aniruddha Gokhale, and Balachandran Natarajan, Generative Programming and Component Engineering (GPCE), Springer-Verlag LNCS 2830, Erfurt, Germany, September 22-25, 2003, pp. 151-168. Suman Roychoudhury, Jeff Gray, Hui Wu, Jing Zhang, and Yuehua Lin, 41st Annual ACM Southeast Conference, Savannah, GA, March 2003, pp. 196-201. Jeff Gray and Gabor Karsai, 36th Hawaiian International Conference on System Sciences (HICSS), Big Island, HI, January 6-9, 2003, Proceedings on CD-ROM. Sandeep Neema, Ted Bapty, Jeff Gray, and Aniruddha Gokhale, First ACM SIGPLAN/SIGSOFT Conference on Generative Programming and Component Engineering (GPCE), Pittsburgh, PA, October 6-8, 2002, pp. 236-251. Gabor Karsai, Jeff Gray, and George Bloor, EIA/GEIA 2000 Engineering and Technical Management Symposium, Dallas, TX, September 25-29, 2000, Proceedings on CD-ROM. Jeffrey G. Gray and Stephen R. Schach, 38th Annual ACM Southeast Conference, Clemson, SC, April 7-8, 2000, pp. 1-10. Gabor Karsai and Jeff Gray, Proceedings of IEEE Aerospace 2000 Conference, Big Sky, MT, March 18-25, 2000, Proceedings on CD-ROM. Murali Sitaraman and Jeff Gray, ACM Tri-Ada 1993 Conference Proceedings, Seattle, WA, September 1993, pp. 137-146. Jeff Gray, Proceedings of the 11th National Conference on Ada Technology, Williamsburg, VA, March 1993, pp. 38-45. Saheed Popoola, Jeff Gray, and Jeff Carver, Tools for Model Driven Engineering (MDETools), a workshop held at Model-Driven Engineering Languages and Systems (MODELS), Austin, TX, September 2017. Workshop on Patterns in Model Engineering (PAME), a workshop held at Model-Driven Engineering Languages and Systems (MODELS), Saint-Malo, France, October 2016. A talk from collaborations with Huseyin Ergin, Eugene Syriani, and Hyun Cho. Abstract: CEUR Volume 1693, page 1. Benoit Combemale, Betty Cheng, Ana Moreira, Jean-Michel Bruel, and Jeff Gray, Workshop on Modeling in Software Engineering (MiSE), a workshop held at the International Conference on Software Engineering (ICSE), Austin, Texas, May 2016, pp. 62-66. Elizabeth Williams and Jeff Gray, Mobile Development Lifecycle (MobileDeli), a workshop held at SPLASH/OOPSLA, Portland, OR, October 2014. Jonathan Corley, Brian Eddy, and Jeff Gray, Domain-Specific Modeling (DSM), a workshop held at SPLASH/OOPSLA, Portland, OR, October 2014. Jonathan Corley and Jeff Gray, Workshop on the Globalization of Modeling Languages (GEMOC), a workshop held at Model-Driven Engineering Languages and Systems (MODELS), Valencia, Spain, October 2014, pp. 63-68. Loli Burgueno, Eugene Syriani, Manuel Wimmer, Jeff Gray, and Antonio Vallecillo, BigMDE Workshop, held at Software Technologies: Applications, and Foundations (STAF), York, UK, July 2014, pp. 23-30. Songqing Yue and Jeff Gray, Domain-Specific Languages and High-Level Frameworks for High Performance Computing, held at Supercomputing (SC): The International Conference for High Performance Computing, Networking, Storage, and Analysis, Denver, CO, November 2013. Hyun Cho, Jeff Gray, and Yu Sun, International Workshop on Software Quality and Management (SQAM), held at the Asia-Pacific Software Engineering Conference (APSEC), Hong Kong, December 2012, pp. 66-72. Ferosh Jacob, Adam Wynne, Yan Liu, Nathan Baker, and Jeff Gray, 12th Workshop on Domain-Specific Modeling (DSM), held at SPLASH 2012, Tucson, AZ, October 2012, pp. 61-62. Hyun Cho, Jeff Gray, and Eugene Syriani, Workshop on Modeling in Software Engineering (MiSE), a workshop held at the International Conference on Software Engineering (ICSE), Zurich, Switzerland, June 2012, pp. 22-28. Eugene Syriani and Jeff Gray, Workshop on Verification Of model Transformations (VOLT), a workshop held at the International Conference on Software Testing, Verification, and Validation (ICST), Montreal, Canada, April 2012, pp. 929-937. Hyun Cho and Jeff Gray, 11th Workshop on Domain-Specific Modeling (DSM), held at SPLASH 2011, Portland, OR, October 2011, pp. 25-32. Jeffrey C. Carver, Eugene Syriani, and Jeff Gray, 1st International Workshop on Experiences and Empirical Studies in Software Modeling (EESSMOD), Wellington, New Zealand, October 2011, pp. 28-37. Robert Tairas, Ferosh Jacob, and Jeff Gray, International Workshop on Software Clones (IWSC), held at ICSE 2011, Honolulu, HI, May 2011, pp. 54-60. Yu Sun, Hyun Cho, Jeff Gray, and Jules White, International Workshop on Product Line Approaches in Software Engineering (PLEASE), held at ICSE 2011, Honolulu, HI, May 2011. Hyun Cho, Yu Sun, Jeff Gray, and Jules White, Workshop on Flexible Modeling Tools, held at ICSE 2011, Honolulu, HI, May 2011. Hamilton Turner, Jules White, and Jeff Gray, First International Workshop on Opportunistic Sensing and Processing in Mobile Wireless Sensor and Cellular Networks (MobiSense), held at the 3rd International Conference on Mobile Lightweight Wireless Systems, Bilbao, Spain, May 2011. Ferosh Jacob, Jeff Gray, Purushotham Bangalore, and Marjan Mernik, Student Research Symposium, held at the 17th Annual International Conference on High Performance Computing, Goa, India, December 2010. Barrett Bryant, Jeff Gray, and Marjan Mernik, Workshop on the Future of Software Engineering Research (FoSER), held at FSE 2010, Santa Fe, NM, November 2010, pp. 65-68. Yu Sun, Jeff Gray, Philip Langer, Manuel Wimmer, and Jules White, 10th Workshop on Domain-Specific Modeling, held at SPLASH 2010, Reno, NV, October 2010. Yu Sun, Jeff Gray, and Jules White, Workshop on Flexible Modeling Tools, held at SPLASH 2010, Reno, NV, October 2010. Hyun Cho, Jeff Gray, and Jules White, 4th Workshop on Assessment of Contemporary Modularization Techniques, held at SPLC 2010, Jeju Island, South Korea, September 2010. Zekai Demirezen, Jeff Gray, Marjan Mernik, and Barrett Bryant, Workshop on Model-Driven Engineering, Verification and Validation - Integrating Verification and Validation in MDE, held at MODELS 2009, Denver, CO, October 2009. Is My DSL a Modeling or Programming Language? Yu Sun, Zekai Demirezen, Marjan Mernik, Jeff Gray, and Barrett Bryant, Workshop on Domain-Specific Program Development (DSPD), held at GPCE 2008, Nashville, TN, October 2008. Yu Sun, Zekai Demirezen, Tomaz Lukman, Marjan Mernik, and Jeff Gray, Workshop on Domain-Specific Program Development (DSPD), held at GPCE 2008, Nashville, TN, October 2008. Jeff Gray, Perspectives Workshop: Model Engineering of Complex Systems, Schloss Dagstuhl, Wadern, Germany, August 2008. Robert Tairas, Shi- Liu, Frederic Jouault and Jeff Gray, 4th International Workshop on Language Engineering (ATEM), held at MODELS 2007, Nashville, TN, October 2007, pp. 91-99. Suman Roychoudhury, Frederic Jouault and Jeff Gray, 4th International Workshop on Language Engineering (ATEM), held at MODELS 2007, Nashville, TN, October 2007, pp. 117-126. Enis Afgan, Jeff Gray, and Purushotham Bangalore, Workshop on Model-Driven Advanced User Interfaces (MDDAUI), held at MODELS 2007, Nashville, TN, October 2007. Rohit Shenvi, Giovanni Mazza, Devashish Saini, Helmuth Orthner, and Jeff Gray, Workshop on Model-Based Trustworthy Healthcare Information Systems (MOTHIS), held at MODELS 2007, Nashville, TN, October 2007. Hui Wu, Jeff Gray, and Marjan Mernik, Workshop on Language Description, Tools, and Applications (LDTA), Braga, Portugal, March 2007. Robert Tairas, Jeff Gray, and Ira Baxter, Eclipse Technology eXchange (ETX) Workshop, held at OOPSLA 2006, Portland, OR, October 2006. Damijan Rebernak, Marjan Mernik, Hui Wu, and Jeff Gray, Workshop on Domain-Specific Aspect Languages, held at GPCE 2006, Portland, OR, October 2006. Jing Zhang, Thomas Cottenier, Aswin van den Berg, and Jeff Gray, Workshop on Aspect-Oriented Modeling, held at MODELS 2006, Genova, Italy, October 2006. Frederic Jouault, Jean Bezivin, Regis Chevrel, and Jeff Gray, Models@run.time, held at MODELS 2006, Genova, Italy, October 2006. Shih-Hsi Liu , Barrett R. Bryant, Jeff Gray, Rajeev Raje, Mihran Tuceryan, Andrew Olson and Mikhail Auguston, First International Workshop on Evaluation and Evolution of Component Composition, held at SEKE 2006, San Francisco, CA, July 2006. Swapna Gokhale, Aniruddha Gokhale, Jeff Gray, and Paul Vandal, International Workshop on Performance Modeling, Evaluation, and Optimization of Parallel and Distributed Systems (PMEO-PDS), held at IPDPS 2006, Rhodes Island, Greece, April 2006. Arundhati Kogekar, Dimple Kaul, Aniruddha Gokhale, Paul Vandal, Upsorn Praphamontripong, Swapna Gokhale, Jing Zhang, Yuehua Lin, Jeff Gray, Next Generation Software Workshop, held at IPDPS 2006, Rhodes Island, Greece, April 2006. Aniruddha Gokhale and Jeff Gray, MODELS Educators Symposium, Montego Bay, Jamaica, October 2005. Shih-Hsi Liu, Barrett Bryant, Rajeev Raje, Mikhail Auguston, Jeff Gray, Mihran Tuceryan, and Andrew Olson, Monterey Workshop on Networked Systems: Realization of Reliable Systems on Unreliable Networked Platforms, Springer-Verlag LNCS 4322, 2007, Laguna Beach, CA, September 2005, pp. 225-247. Jing Zhang, Jeff Gray, and Yuehua Lin, First International Workshop on the Modeling and Analysis of Concerns in Software (MACS), held at ICSE 2005, St. Louis, MO, May 2005 (also appeared in publication as ACM SIGSOFT Software Engineering Notes, volume 30, issue 4, July 2005). Xiaoqing Wu, Barrett R. Bryant, Jeffrey G. Gray, and Marjan Mernik, First International Workshop on the Modeling and Analysis of Concerns in Software (MACS), held at ICSE 2005, St. Louis, MO, May 2005 (also appeared in publication as ACM SIGSOFT Software Engineering Notes, volume 30, issue 4, July 2005). Faizan Javed, Marjan Mernik, Barrett R. Bryant, and Jeff Gray, Fourth International Workshop on Scenarios and State Machines: Models, Algorithms and Tools (SCESM), held at ICSE 2005, St. Louis, MO, May 2005 (also appeared in publication as ACM SIGSOFT Software Engineering Notes, volume 30, issue 4, July 2005). Swapna Gokhale, Aniruddha Gokhale, and Jeff Gray, Next Generation Software Workshop, held at IPDPS 2005, Denver, CO, April 2005. Suman Roychoudhury and Jeff Gray, Workshop on Linking Aspect Technology and Evolution (LATE), held at AOSD 2005, Chicago, IL, March 2005. Aniruddha Gokhale and Jeff Gray, Workshop on Aspect-Oriented Modeling Workshop, held at AOSD 2005, Chicago, IL, March 2005. Jing Zhang and Jeff Gray, Workshop on Domain-Specific Modeling, held at OOPSLA 2004, Vancouver, BC, October 2004, pp. 121-129. Yuehua Lin, Jing Zhang, and Jeff Gray, Workshop on Best Practices for Model-Driven Software Development, held at OOPSLA 2004, Vancouver, BC, October 2004. Jing Zhang and Jeff Gray, Workshop on Model-Driven Evolution of Legacy Systems, held at EDOC 2004, Monterey, CA, September 2004. Jeff Gray and Aniruddha Gokhale, OMG Workshop on Model Integrated Computing, Arlington, VA, October 2004. Francisco Hernandez, Purushotham Bangalore, Jeff Gray, and Kevin Reilly, Workshop on Component Models and Systems for Grid Applications, Saint-Malo, France, June 2004. Anthony Skjellum, Purushotham Bangalore, Jeff Gray, and Barrett Bryant, International Workshop on Software Engineering for High Performance Computing System (HPCS) Applications, held at ICSE 2004, Edinburgh, Scotland, May 24, 2004. Shairaj Shaik, Raymond Corvin, Rajesh Sudarsan, Faizan Javed, Qasim Ijaz, Suman Roychoudhury, Jeff Gray, and Barrett Bryant, Eclipse Technology eXchange (ETX) Workshop, held at OOPSLA 2003, Anaheim, CA, October 2003. Beum-Seuk Lee, Xiaoqing Wu, Fei Cao, Shih-hsi Liu, Wei Zhao, Chunmin Yang, Barrett R. Bryant, and Jeffrey G. Gray, Eclipse Technology eXchange (ETX) Workshop, held at OOPSLA 2003, Anaheim, CA, October 2003. Francisco Hernandez, Jeff Gray, and Kevin Reilly, Workshop on Agent-Oriented Methodologies, held at OOPSLA 2003, Anaheim, CA, October 2003. Barrett R. Bryant, Beum-Seuk Lee, Fei Cao, Wei Zhao, Carol C. Burt, Jeffrey G. Gray, Rajeev R. Raje, Andrew M. Olson, and Auguston, Mikhail, Monterey Workshop on Software Engineering for Embedded Systems, September 24-26, 2003, Chicago, IL, 2003, pp. 51-58. Jeff Gray, Yuehua Lin, and Jing Zhang, Workshop on Model-driven Approaches to Middleware Applications Development, held at Middleware 2003, Rio de Janeiro, Brazil, June 2003. Wei Zhao, Barrett Bryant, Jeff Gray, Carol Burt, Rajeev Raje, Andrew Olson, and Mikhail Auguston, Workshop on Component-Based Software Engineering, held at ICSE 2003, Portland, OR, May 2003. Jeff Gray, Yuehua Lin, and Jing Zhang, Real-Time CORBA Component Model Workshop, Washington University, St. Louis, Missouri, March 2003. Jeff Gray, Ted Bapty, Sandeep Neema, and Aniruddha Gokhale, Workshop on Generative Techniques for Model-Driven Architecture, held at OOPSLA 2002, Seattle, WA, November 2002. Douglas C. Schmidt, Aniruddha Gokhale, Balachandran Natarajan, Sandeep Neema, Ted Bapty, Jeff Parsons, Andrey Nechipurenko, Jeff Gray, and Nanbor Wang, Workshop on Generative Techniques for Model-Driven Architecture, held at OOPSLA 2002, Seattle, WA, November 2002. Jeff Gray, Generative Programming and Component Engineering Young Researchers' Workshop, held at GPCE 2002, Pittsburgh, PA, October 2002. Ted Bapty, Sandeep Neema, and Jeff Gray, OMG Workshop on Real-Time and Embedded Distributed Object Computing, Washington, DC, July 15-18, 2002. Jeff Gray, Ted Bapty, and Sandeep Neema, Workshop on Domain-Specific Visual Languages, held at OOPSLA 2001, Tampa, FL, October 2001. Jeff Gray, Ted Bapty, and Sandeep Neema, Workshop on Advanced Separation of Concerns in Object-Oriented Systems, held at OOPSLA 2000, Minneapolis, MN, October 2000. Jeff Gray, Workshop on the Design and Construction of Large-Scale Components, held at OOPSLA 1995, Austin, TX, October 1995. Jeff Gray, The Carnegie Mellon University/Software Engineering Institute Second Annual Disciplined Engineering Workshop, Pittsburgh, PA, June 1995. Katie Zucker, University of Alabama Undergraduate Research Conference, April 2017. Eric Tilley, University of Alabama Undergraduate Research Conference, April 2017. Nick Bucher, University of Alabama Undergraduate Research Conference, April 2017. Jeff Gray, Kathy Haynie, Sheryl Packman, Mary Boehm, Carol, Crawford, and Jonathan Corley, ACM Technical Symposium on Computer Science Education (SIGCSE), Seattle, WA, March 2017. Ben Romano (served as advisor on this student poster), ACM Technical Symposium on Computer Science Education (SIGCSE) Student Research Competition, Seattle, WA, March 2017. Nath Tumlin (served as advisor on this student poster), ACM Technical Symposium on Computer Science Education (SIGCSE) Student Research Competition, Seattle, WA, March 2017. Also appeared at: University of Alabama Undergraduate Research Conference, April 2017. Taimur Ghani (served as mentor on this student science fair poster), Central Alabama Regional Science Fair, Birmingham, AL, March 2017. Blayde Dill (served as mentor on this student science fair poster), Central Alabama Regional Science Fair, Birmingham, AL, March 2017. Joseph Green (served as mentor on this student science fair poster), Central Alabama Regional Science Fair, Birmingham, AL, March 2017. Ryan Kirk (served as mentor on this student science fair poster), Central Alabama Regional Science Fair, Birmingham, AL, March 2017. Jake Trower (served as advisor on this student poster), ACM Technical Symposium on Computer Science Education (SIGCSE) Student Research Competition, Memphis, TN, March 2016. Nicholas McCarley (served as advisor on this student poster), ACM Technical Symposium on Computer Science Education (SIGCSE) Student Research Competition, Memphis, TN, March 2016. Also appeared at: University of Alabama Undergraduate Research Conference, April 2016. Intel International Science and Engineering Fair (ISEF), Phoenix, AZ, May 2016. Alabama State Science Fair, Huntsville, AL, April 2016. Central Alabama Regional Science Fair, Birmingham, AL, March 2016. Turner Atwood (served as mentor on this student science fair poster), Central Alabama Regional Science Fair, Birmingham, AL, March 2016. Henry Rice (served as mentor on this student science fair poster), Central Alabama Regional Science Fair, Birmingham, AL, March 2016. Amber Wagner and Jeff Gray, Blocks and Beyond Workshop, held at the IEEE Symposium on Visual Languages and Human-Centric Computing, Atlanta, GA, October 2015. Elizabeth Conrad, University of Alabama Undergraduate Research Conference, April 2015. Anthony Timberlake, University of Alabama Undergraduate Research Conference, April 2015. Jacob Zarobsky, University of Alabama Undergraduate Research Conference, April 2015. Jake Trower and Jeff Gray, ACM Technical Symposium on Computer Science Education (SIGCSE), Kansas City, MO, March 2015. Jeff Gray, Mary Boehm, Carol, Crawford, Jeff Baker, Gina McCarley, Kitty Morgan, Kelley Rouze, Jill Westerlund, and Carol Yarbrough, ACM Technical Symposium on Computer Science Education (SIGCSE), Kansas City, MO, March 2015. Matt Bowen (served as advisor on this student poster), ACM Technical Symposium on Computer Science Education (SIGCSE) Student Research Competition, Kansas City, MO, March 2015. Also appeared at: University of Alabama Undergraduate Research Conference, April 2015. Christina Noe (served as advisor on this student poster), ACM Technical Symposium on Computer Science Education (SIGCSES) Student Research Competition, Kansas City, MO, March 2015. Nath Tumlin (served as mentor on this student science fair poster), Central Alabama Regional Science Fair, Birmingham, AL, March 2015. Victor Sui (served as mentor on this student science fair poster), Central Alabama Regional Science Fair, Birmingham, AL, March 2015. Sruti Josyula (served as mentor on this student science fair poster), Central Alabama Regional Science Fair, Birmingham, AL, March 2015. Wendy Jiang (served as mentor on this student science fair poster), Central Alabama Regional Science Fair, Birmingham, AL, March 2015. Brian Eddy (served as advisor on this student poster), SPLASH Student Research Competition (SRC), Portland, OR, October 2014, pp. 13-15. Jonathan Corley and Brian Eddy (served as advisor on this student poster), SPLASH Poster Session, Portland, OR, October 2014, pp. 51-52. Jonathan Corley (served as mentor on this student poster), MODELS Student Research Competition (SRC), Valencia, Spain, October 2014. Tarif Haque and Chris Chockley (served as advisor on this student poster), University of Alabama Undergraduate Research Conference, April 2014. Jared Beach (served as advisor on this student poster), University of Alabama Undergraduate Research Conference, April 2014. Nicholas Dahl (served as advisor on this student poster), University of Alabama Undergraduate Research Conference, April 2014. Matthew Baird (served as advisor on this student poster), University of Alabama Undergraduate Research Conference, April 2014. Alabama State Science Fair, Huntsville, AL, April 2014. Central Alabama Regional Science Fair, Birmingham, AL, March 2014. Mobile Regional Science Fair, Mobile, AL, March 2014. Google Science Fair, May 2014. North Alabama Regional Science Fair, Huntsville, AL, March 2014. Louisiana Region IV Science and Engineering Fair, Alexandria, LA, March 2014. Jeff Gray, Mokter Hossain, Jonathan Corley, Amber Wagner, Cassidy Lamm, Mary Boehm and Carol Crawford, Kathleen Haynie and Sheryl Packman, Deepa Muralidhar, Jeff Baker, Roy Black, Sandy Falgout, Leella Holt, Albert Lilly, Gina McCarley, James Morse, Jennie Rountree, Jill Westerlund, and Carol Yarbrough, ACM Technical Symposium on Computer Science Education (SIGCSE), Atlanta, GA, March 2014. Amber Wagner, ACM Technical Symposium on Computer Science Education (SIGCSE), Student Research Competition (SRC), Atlanta, GA, March 2014. Amber Wagner and Jeff Gray, ACM Technical Symposium on Computer Science Education (SIGCSE), Atlanta, GA, March 2014. Songqing Yue (served as advisor on this student poster), SPLASH/OOPSLA Poster, Indianapolis, IN, October 2013. Amber Krug (served as advisor on this student poster), Doctoral Consortium Poster, ACM SIGCHI Conference on Human Factors in Computing Systems, Paris France, April 27-May 2, 2013, 1941-1944. Tarif Haque and Emily Liang (served as advisor on this student poster), University of Alabama Undergraduate Research Conference, April 2013. Joshua Pepperman (served as advisor on this student poster), University of Alabama Undergraduate Research Conference, April 2013. Johnathan Snyder (served as advisor on this student poster), University of Alabama Undergraduate Research Conference, April 2013. Intel International Science and Engineering Fair (ISEF), Phoenix, AZ, May 2013. Alabama State Science Fair, Huntsville, AL, April 2013. Central Alabama Regional Science Fair, Birmingham, AL, March 2013. Greater East Alabama Regional Science Fair, Auburn, AL, March 2013. Mobile Regional Science Fair, Mobile, AL, March 2013. Jeff Gray, Mary Boehm, Tammy Dunn, Carol Crawford, and Kathleen Haynie, NSF CE21 PI Meeting, Portland, OR, January 2013. Ferosh Jacob, Jeff Gray, and Purushotham Bangalore, 50th Annual ACM Southeast Conference, Tuscaloosa, AL, March 2012, pp. 351-352. Dalorion Johnson, J. Michael Wyss, Jeff Gray, Shaundra Daily, Alah Shih, and Gypsy Abbott, 50th Annual ACM Southeast Conference, Tuscaloosa, AL, March 2012, pp. 371-372. Jeff Gray, Shaundra Daily, J. Michael Wyss, and Shelia Cotten, NSF Showcase at SIGCSE, Raleigh, NC, March 2012. Chris Hodapp (served as advisor on this student poster), University of Alabama Undergraduate Research Conference, April 2012. Cassidy Lamm and Lauren Lambert (served as co-advisor on this student poster with Dr. Angela Barver), University of Alabama Undergraduate Research Conference, April 2012. Alabama State Science Fair, Huntsville, AL, April 2012. Central Alabama Regional Science Fair, Birmingham, AL, March 2012. Hyun Cho (served as advisor on this student poster), OOPSLA Student Research Competition, Portland, OR, October 2011, pp. 351-354. Yu Sun (served as advisor on this student poster), International Conference on Software Engineering (ICSE), Honolulu, HI, May 2011. Melissa Bowman, Andrea Torske, Elizabeth Williams, and Leah Boling (served as advisor on this student poster), University of Alabama Undergraduate Research Conference, April 2011. David Shaddix, Blake Bassett, and Chris Hodapp (served as advisor on this student poster), University of Alabama Undergraduate Research Conference, April 2011. Ramaraju Rudraraju, Srinivasa Datla, Avishek Banerjee, Mandar Sudame, and Jeff Gray, ACM Technical Symposium on Computer Science Education (SIGCSE), Dallas, TX, March 2011. Brittany Stewart, Joel Tully, Joshua Swank, Jeff Gray, and Barrett Bryant, ACM Technical Symposium on Computer Science Education (SIGCSE), Dallas, TX, March 2011. Alabama State Science Fair, Huntsville, AL, April 2011. Central Alabama Regional Science Fair, Birmingham, AL, March 2011. I-SWEEP Olympiad, Houston, TX, May 2011. Shelia Cotten, Michael Howell-Moroney, Jeff Gray, David Radford, Thamar Solorio, Mike Wyss, LaToya O’Neal, Karen Harris, Valerie Dennis, Grace Hoomes, Jenelle Ouimette, and Robert Williams, NSF Discovery K-12 Annual Meeting, Washington, DC, December 2010. Ferosh Jacob and Jeff Gray, SPLASH/OOPSLA Student Research Competition (served as advisor on this student poster), Reno, NV, October 2010. Yu Sun and Jeff Gray, SPLASH/OOPSLA Student Research Competition (served as advisor on this student poster), Reno, NV, October 2010. Luka Fürst, Marjan Mernik, Viljan Mahnic, Barrett R. Bryant, Jeff Gray,Workshop on Formalization of Modeling Languages (FML), a workshop held at the European Conference on Object-Oriented Programming (ECOOP), Maribor, Slovenia, June 2010.
International Science and Engineering Fair, San Jose, CA, May 2010. Alabama State Science Fair, Huntsville, AL, April 2010. Central Alabama Regional Science Fair, Birmingham, AL, March 2010. Robert Tairas and Jeff Gray, ACM Symposium on Applied Computing – Software Engineering Track, Sierre, Switzerland, March 2010. Can Domain-Specific Languages Be Implemented by Service-Oriented Architecture? Shi-Hsi Liu, Marjan Mernik, Barrett Bryant, and Jeff Gray, ACM Symposium on Applied Computing – Service-Oriented Architecture and Programming Track, Sierre, Switzerland, March 2010. Hyun Cho and Jeff Gray, Software Engineering Process Group North America Conference (served as advisor on this student poster), Savannah, GA, March 2010. Yu Sun and Jeff Gray, OOPSLA Student Research Competition (served as advisor on this student poster), Orlando, FL, October 2009. Robert Tairas and Jeff Gray, OOPSLA Student Research Competition (served as advisor on this student poster), Orlando, FL, October 2009. Robert Tairas and Jeff Gray, Third OOPSLA Workshop on Refactoring Tools, Orlando, FL, October 2009. Ferosh Jacob, Daqing Hou, and Jeff Gray, Third OOPSLA Workshop on Refactoring Tools, Orlando, FL, October 2009. Tavaris Payton (served as mentor for his McNair Summer Internship), 2009. Qichao Liu, Faizan Javed, Marjan Mernik, Barrett Bryant, Jeff Gray, Alan Sprague, and Dejan Hrnčič, 3rd IEEE International Symposium on Theoretical Aspects of Software Engineering, Tianjin, China, July 2009. Alabama State Science Fair, Huntsville, AL, April 2009. Central Alabama Regional Science Fair, Birmingham, AL, March 2009. Hyun Cho (advisor on this student poster), 47th ACM Southeast Conference, Clemson, SC, March 2009. J. Michael Wyss, Jeff Gray, John Mayer, David Radford, Alan Shih, Dixon Shuttleworth, and Ross Ptacek, NSF ITEST Annual Meeting, Arlington, VA, February 2009. Central Alabama Regional Science Fair, Birmingham, AL, March 2008. J. Michael Wyss, Jeff Gray, John Mayer, David Radford, Alan Shih, NSF ITEST Annual Meeting, Arlington, VA, February 2008. Dornesia Ward (served as mentor for her McNair Summer Internship), 2007. Xiaoqing Wu, Barrett R. Bryant, Jeff Gray, and Marjan Mernik (co-advisor on this student poster), Programming Language Design and Implementation (PLDI), San Diego, CA, June 2007. Alabama State Science Fair, Huntsville, AL, April 2007. Central Alabama Regional Science Fair, Birmingham, AL, March 2007. Yuehua Lin and Jeff Gray (served as advisor on this student poster), Object-Oriented Programming, Systems, Languages, and Applications (OOPSLA), Portland, OR, October 2006. Robert Tairas, Jeff Gray, and Ira Baxter, Eclipse Technology eXchange (ETX), held at OOPSLA 2006, Portland, OR, October 2006. Juha-Pekka Tolvanen, Jeff Gray, and Jonathan Sprinkle, Object-Oriented Programming, Systems, Languages, and Applications (OOPSLA), Portland, OR, October 2006. Alabama State Science Fair, Huntsville, AL, April 2006. Central Alabama Regional Science Fair, Birmingham, AL, March 2006. Jeff Gray, Governor's Summit on Mathematics and Science Education, Birmingham, AL, March 2006. Ruben Vuittonet and Jeff Gray, 44th ACM Southeast Conference, Melbourne, FL, March 2006. Yuehua Lin and Jeff Gray, Object-Oriented Programming, Systems, Languages, and Applications (OOPSLA), San Diego, CA, October 2005. Jing Zhang and Jeff Gray (served as advisor on this student poster), Object-Oriented Programming, Systems, Languages, and Applications (OOPSLA), San Diego, CA, October 2005. Xiaoqing Wu, Barrett R. Bryant, Jeff Gray, and Marjan Mernik (served as co-advisor on this student poster), Object-Oriented Programming, Systems, Languages, and Applications (OOPSLA), San Diego, CA, October 2005. Shih-Hsi Liu, Barrett R. Bryant, Jeff Gray, Rajeev R. Raje, Mihran Tuceryan, Andrew M. Olson, and Mikhail Auguston (served as co-advisor on this student poster), Object-Oriented Programming, Systems, Languages, and Applications (OOPSLA), San Diego, CA, October 2005. Hui Wu, Jeff Gray, and Marjan Mernik, Special Event (hosted by IBM): Eclipse Technology eXchange (ETX), held at OOPSLA 2005, San Diego, CA, October 2005. Suman Roychoudhury and Jeff Gray (served as advisor on this student poster), Aspect-Oriented Software Development Student Poster Extravaganza, Chicago, IL, March 2005. Shih-Hsi Liu, Barrett Bryant, Jeff Gray, Rajeev Raje, Andrew Olson, Mikhail Auguston, ACM Symposium for Applied Computing (SAC) - Embedded Systems Track, Santa Fe, NM, March 2005. Suman Roychoudhury and Jeff Gray (served as advisor on this student poster), Object-Oriented Programming, Systems, Languages, and Applications (OOPSLA), Vancouver, Canada, October 2004. Jing Zhang and Jeff Gray (served as advisor on this student poster), Object-Oriented Programming, Systems, Languages, and Applications (OOPSLA), Vancouver, Canada, October 2004. Hui Wu, Jeff Gray, and Marjan Mernik, Eclipse Technology Exchange (ETX), held at OOPSLA 2004, Vancouver, Canada, October 2004. Yuehua Lin, Song Zhou, Chuanxi Xu, Hui Wu, Jing Zhang, Juanqin Wang, Jeff Gray, and Barrett Bryant, Eclipse Technology eXchange (ETX), held at OOPSLA 2003, Anaheim, CA, October 2003. Shairaj Shaik, Raymond Corvin, Rajesh Sudarsan, Faizan Javed, Qasim Ijaz, Suman Roychoudhury, Jeff Gray, and Barrett Bryant, Eclipse Technology eXchange (ETX), held at OOPSLA 2003, Anaheim, CA, October 2003. Beum-Seuk Lee, Xiaoqing Wu, Fei Cao, Shih-hsi Liu, Wei Zhao, Chunmin Yang, Barrett R. Bryant, and Jeffrey G. Gray, Eclipse Technology eXchange (ETX), held at OOPSLA 2003, Anaheim, CA, October 2003. Jeff Gray, Matti Rossi, and Juha-Pekka Tolvanen, Object-Oriented Programming, Systems, Languages, and Applications (OOPSLA), Anaheim, CA, October 2003. Juha-Pekka Tolvanen, Jeff Gray, Matti Rossi, Object-Oriented Programming, Systems, Languages, and Applications (OOPSLA), Seattle, WA, November 2002. Jeff Gray, Ted Bapty, Sandeep Neema, and James Tuck, Object-Oriented Programming, Systems, Languages, and Applications (OOPSLA), Tampa, FL, October 2001. Juha-Pekka Tolvanen, Jeff Gray, Steven Kelly, and Kally Lyytinen, Object-Oriented Programming, Systems, Languages, and Applications (OOPSLA), Tampa, FL, October 2001. How are States Defining and Measuring BPC? ECEP Annual Meeting: Measuring What Matters: Broadening Participation in Computing in the States, Atlanta, GA, January 26, 2018. (Co-Panelists: Caitlin Dooley, Megean Garvin, Jeff Gray; Moderator: Renee Fall). Workshop on Blocks and Beyond: Lessons and Directions for First Programming Environments, a workshop held at the IEEE Symposium on Visual Languages and Human-Centric Computing (VL/HCC), Raleigh, NC, October 10, 2017. (Co-Panelists: Caitlin Kelleher, John Maloney, Paul Medlock-Walton, Evan Patton, Daniel Wendel; Moderator: Jeff Gray). ACM Technical Symposium on Computer Science Education (SIGCSE), Seattle, WA, March 2017. (Co-Panelists: Jennifer Rosato, Bradley Beth, Nigamanth Sridhar, and Sean Morris). Texas Computer Education Association Conference, February 2, 2016. Computer Science Teachers Association (CSTA) Conference, Dallas, TX, July 14, 2015. ACM Technical Symposium on Computer Science Education (SIGCSE), Kansas City, GA, March 7, 2015. ACM Technical Symposium on Computer Science Education (SIGCSE), Kansas City, MO, March 6, 2015. ACM Technical Symposium on Computer Science Education (SIGCSE), Kansas City, GA, March 6, 2015. (Co-Panelists: Dan Garcia, Wei Ding, Joseph Cohen, Barbara Ericson, Dale Reed). ACM Technical Symposium on Computer Science Education (SIGCSE), Kansas City, MO, March 5, 2015. MODELS Educators Symposium (EduSymp), Valencia, Spain, September 29, 2014. Google/CSTA CS Principles Summit, St. Charles, IL, July 16, 2014. Google Education - Hangout on Air, April 2, 2014. ACM Technical Symposium on Computer Science Education (SIGCSE), Atlanta, GA, March 7, 2014. ACM Technical Symposium on Computer Science Education (SIGCSE), Atlanta, GA, March 6, 2014. How Do We Inspire Students to Model? MODELS Educators Symposium (EduSymp), Innsbruck, Austria, October 1, 2012. ACM SIGCSE Conference, Raleigh, NC, March 2, 2012. Systems, Programming, Languages, and Applications: Software for Humanity (SPLASH), Reno, NV, October 19, 2010. Object-Oriented Programming, Systems, Languages, and Applications (OOPSLA), Orlando, FL, October 27, 2009. Object-Oriented Programming, Systems, Languages, and Applications (OOPSLA), Nashville, TN, October 22, 2008. OOPSLA Workshop on Domain-Specific Modeling, Nashville, TN, October 19, 2008. (Served as Panel Chair, with the following co-panelists: Steven Kelly, Laurent Safa, Goren Olsen, Arturo Sanchez). The Future of Aspect Modeling: Will MDE Absorb It? Model Driven Engineering Languages and Systems (MODELS), Nashville, TN, October 4, 2007. ICSE Workshop on Modeling in Software Engineering, Minneapolis, MN, May 20, 2007. GPCE 2004, Vancouver, BC, October 27, 2004. OMG Model-Integrated Computing Workshop, Washington, DC, October 14, 2004. Panelist for the session on Aspects, Components, and Patterns for Infrastructure Software (ACP4IS) at AOSD '04: International Conference on Aspect-Oriented Software Development, Lancaster, UK, March 23, 2004. Jeff Gray, CSTA Voice, vol. 9, no. 2, May 2013, pp. 6. Jeff Gray, CSTA Voice, vol. 6, no. 6, January 2011, pg. 7. Jeff Gray, CSTA Voice, vol. 5, no. 1, March 2009, pg. 3. Jeff Gray, Technology Alabama, Spring 2009. Matthew Curry and Jeff Gray, Dr. Dobb's Journal, February 2008, pp. 30-38. Embedded Systems Programming, April 1990, pp. 23-26. Jeff Gray, 2600: The Hacker Quarterly, Summer 1989, pp. 38-40. Jeffrey G. Gray, Ph.D. Dissertation, Department of Electrical Engineering and Computer Science, Vanderbilt University, Nashville, TN, March 2002. Jeffrey G. Gray, M.S. Thesis, Department of Statistics and Computer Science, West Virginia University, Morgantown, WV, May 1993. Jane L. Snowdon and Jeffrey G. Gray, IBM Research Report, RC-20536 (91052), IBM TJ Watson Research Center, Yorktown Heights, NY, August 9, 1996, pp. 1-46. Murali Sitaraman and Jeff Gray, Department of Statistics and Computer Science, West Virginia University, Morgantown, WV, TR 93-2, March 23, 1993, pp. 1-14. A separate web page is available that contains links to various television stories and radio interviews. Please click here to visit that page. in U.S. News and World Report’s annual college rankings. The Carnegie Foundation has recognized UA with its most elite “Very High Research Activity” status, also known as the R1 category. UA recently led the nation as the public university with the most number of incoming National Merit Scholars. The University is the first university in the state, founded in 1831, and has the largest enrollment of any university in Alabama. Click here to learn more facts about The University of Alabama.